Pfizer’s bosses were cast as villains in a grilling by lawmakers, while Astra’s played unpretentious scientists. Public antipathy raises the risks for the U.S. group of going hostile. With Astra’s CEO outlining the form of acceptable bid, Pfizer knows where it needs to convince. 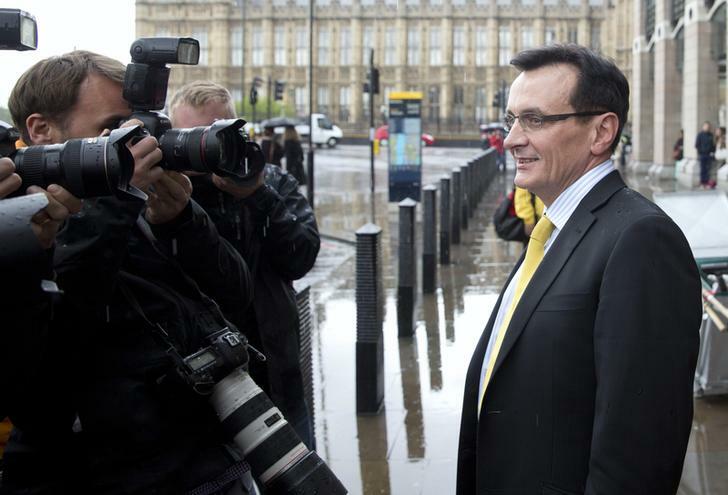 Chief Executive of AstraZeneca Pascal Soriot leaves after appearing at a parliamentary business and enterprise committee hearing at Portcullis House in London May 13, 2014. U.S. drugmaker Pfizer hinted it could raise its proposed $106 billion offer if AstraZeneca would only engage in talks, as its boss was grilled by UK lawmakers on his commitment to British research spending and jobs.